It’s time say to Mariya-club «thank you so much» Mostly I like winter, I like snow and that mysterious spirit of a miracle that is so obvious in a fresh frosty air.. But this February is too cold too snowy and too grey – the sky is overcast and I miss the sun.. But Mariya site knows how to surprise) Message from Randy came all of a sudden! We had some correspondence earlier but it did not lead us to something more than just nice letters. This time it was different. I know, it was the magic of winter – Randy was going to come to Kiev and he invited me for a date! I was so excited! Of course I agreed and we met! Our date made a great impression on me, and Randy is a real gentleman, just as I pictured him in my mind! A serious man who is looking for serious relations and is ready to create a family. I like when the man knows what he wants. I am very happy that we met! We spent time in a cozy restaurant, speaking about different things, joking and laughing. I felt myself very comfortable at his presence. I felt the warmth all the time when our eyes met as if sun was shining all over me) I must confess I had fear we will not understand each other as we speak different languages and it could become a big barrier in our acquaintance. But Mariya club provided us with an interpreter, and our communication was smooth and joyful ) Then Randy had to leave (((… But not for a long time! Our next meeting took place in a week after the first one. Both of us were looking forward to it. 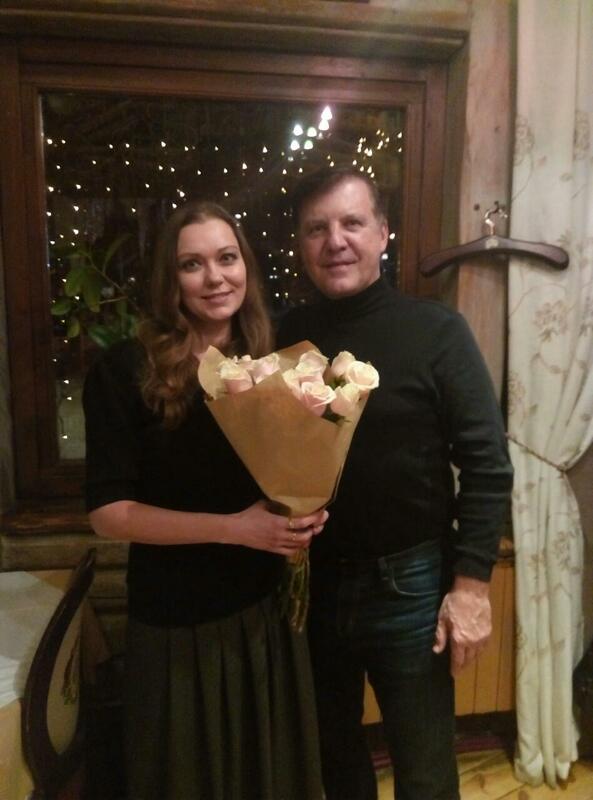 We met at the same restaurant, Randy presented me with a bouquet of beautiful roses… We had delightful evening together, and winter is not cold anymore for me) Alas, he has to go back home… and I will look forward for news from Randy. We have taken this important step on the way of our relations thanks to Mariya club. I am grateful to the founders of this dating website! I want to tell everyone who is still lonely or hesitant - it works! It makes people happier! Lyudmida.